Scrub up: The benefits of coffee scrubbing! Sustainability is totally our jam. And we believe it’s so passé to let things go to waste – even your coffee grinds! This is why we’re upcycling the grinds left over from the latte we make you. When you come to us, that coffee isn’t just a teaspoon of instant with a dash of long life milk! We believe you deserve the best, which is why we carefully brew a fantastic cup of freshly ground coffee each and every time you sit in our styling chair. But we believe our sustainability encompasses all of our salon waste — even our leftover coffee grinds. So we are getting crafty in the kitchen and creating our signature and sustainable coffee scrub and we know it’s about to become your BFF. 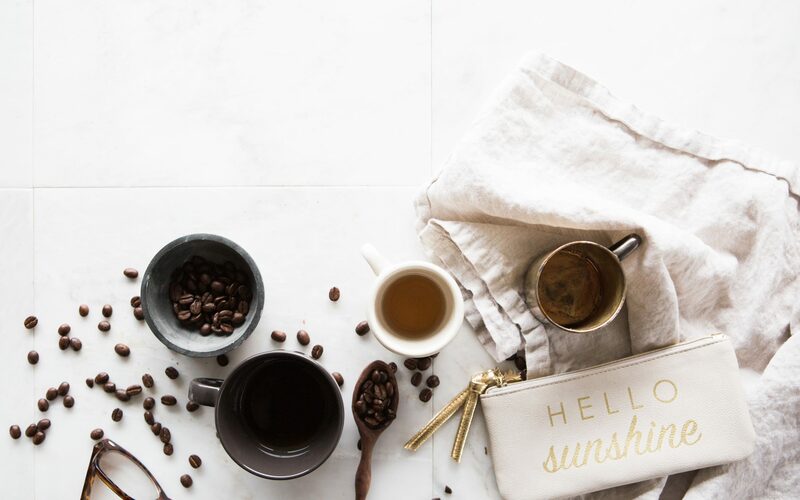 We thought we’d pop up a little post with ALL of the reasons we absolutely love coffee scrubbing. So that when we finally package ours up and get it into the salon, you’ll be well informed on why we would come up with such an idea! Here’s why we love coffee scrubs! 1. You don’t need to go to the gym for great circulation. Who doesn’t love a stimulating activity? Scrubs are renowned for their circulatory benefits which in turn will lessen the appearance of cellulite and improve the ‘toned’ appearance of ones derrière. Team this with everyone’s favourite stimulant that is coffee and you’ve got a turbocharged scrub that’s good enough to cancel the gym membership for. 2. It fights fluid retention. Ain’t nobody got time to rise at 5am and cold press their greens to help flush their system. Smart babes sleep in and tackle that in their morning shower routine. And this is why a caffeine based scrub is oh-so good. The stimulating properties of caffeine teamed with the self-loving massage you’ll give yourself whilst scrubbing up is a winning formula to get things moving, especially fluid. 3. It’s the perfect pre-tanner. Remember the days of standing outside your shower dry body brushing in the name of health and vanity? It was touted as the best thing you could do for a full-body exfoliation pre-tanning. This does exactly the same thing but smells so much better, not to mention you won’t freeze your booty off when you do it! And good to know, every time you scrub, you’re removing all of those dead skin cells away which is greatly improving the texture and appearance of your skin. So even when you can’t be bothered to tan, your skin is going to be looking oh-so lush. 4. It’s the perfect two in one. Hands up my lazy girls who can’t be bothered to moisturise after their shower? My hand is well and truly up! But did you know most coffee scrubs are a two-in-one? The base of a coffee scrub is usually an oil such as coconut oil and we all know coconut oil can solve all of our issues — including dry skin. Simply shower, scrub and pat yourself dry and prepare to have skin as smooth and supple as a babies bottom (except you’ll smell a whole lot cuter). We can’t wait for you to pick yours up when they finally hit the shelves in the salon. We promise you’ll fall in love and we know scrubbing up will quickly become your favourite way of getting dirty — just don’t tell your husband.